Encourage and stimulate your infant's mind with this multiple-award-winning crib-side plush pelican! Hungry Pelican can hang from the crib, or be used as a separate toy to keep your child entertained. 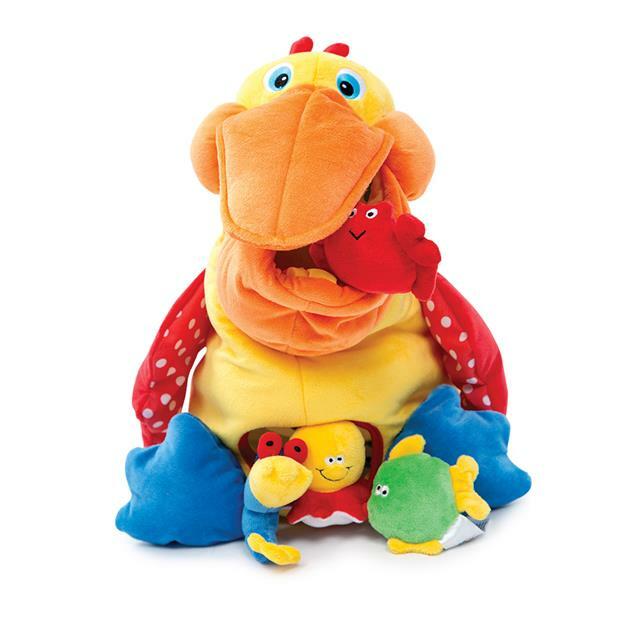 Children will love feeding the pelican with the 4 included plush sea creatures: a shrimp, octopus, crab and fish. Winner of many prestigious awards including: Parenting Magazine's Toy of the Year Award, Parent's Choice Fun Stuff Award, Doctor Toy's Best Vacation Children's Product Award, and many more!